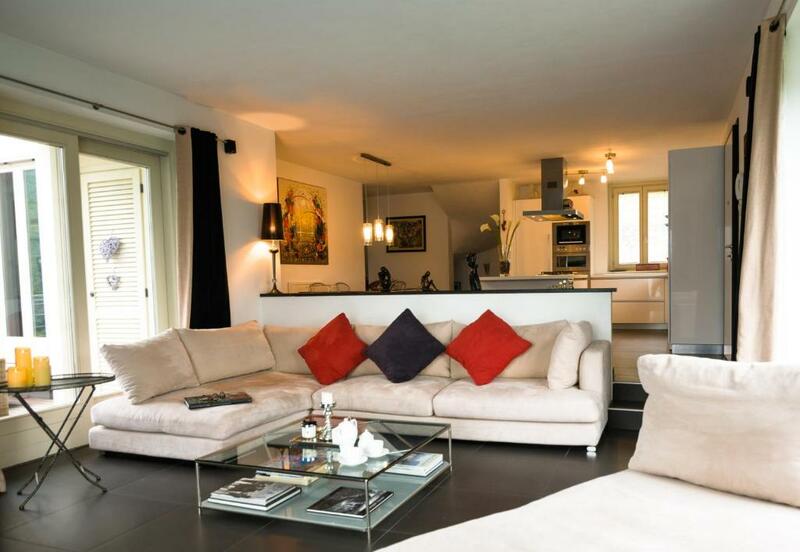 Lock in a great price for Villa Lilla – rated 9.3 by recent guests! 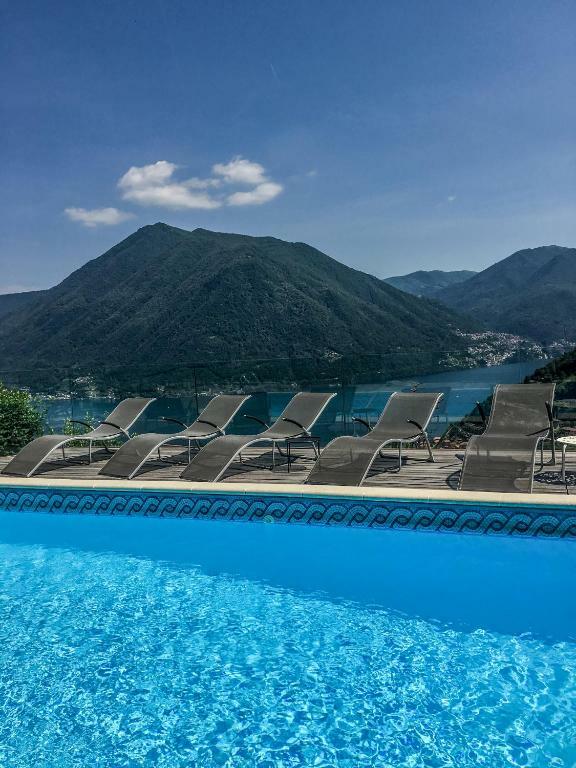 One of our top picks in Argegno.Villa Lilla is set on a hillside location in Argegno, a 2-minute drive from a small port on the shores of Lake Como. It features an outdoor pool and a terrace with panoramic lake views. The modern villa offers free WiFi throughout and includes 5 bedrooms, 3 bathrooms, and a fully equipped kitchen with a dishwasher. A washing machine and a tumble dryer are also available. 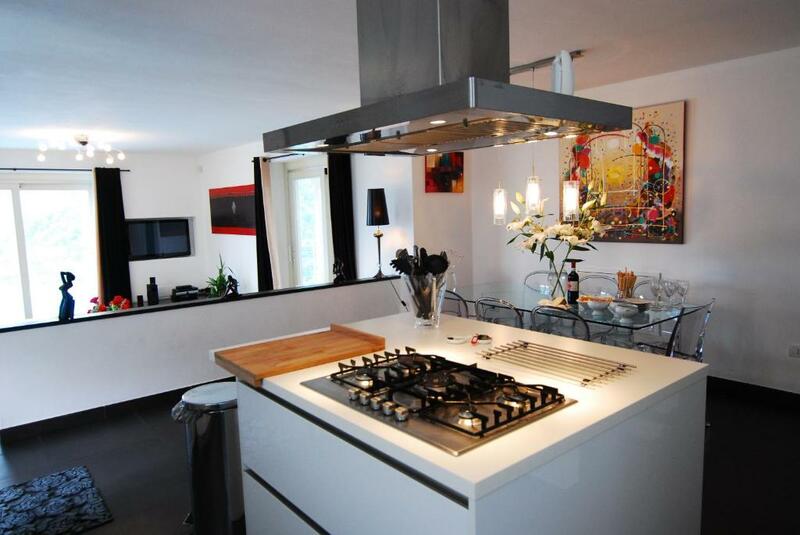 Guests of the Villa have access to barbecue facilities and free on-site parking. An airport shuttle service is available on request. 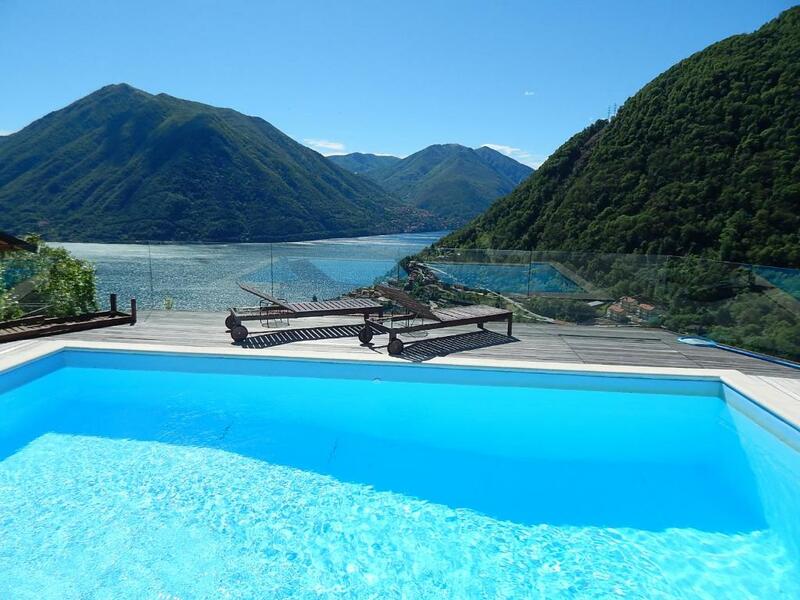 Villa del Balbianello and the village of Ossuccio are a 12-minute drive from the Lilla Villa. Cernobbio can be reached in 21 minutes by car. 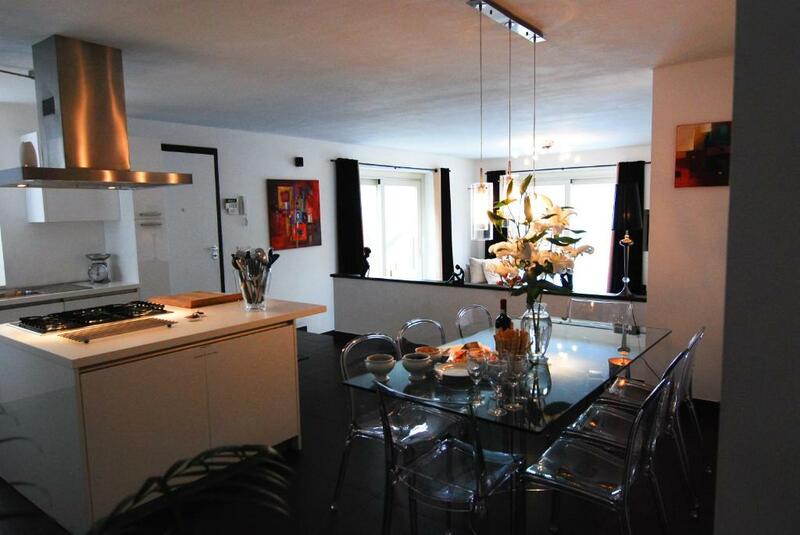 This property is also rated for the best value in Argegno! Guests are getting more for their money when compared to other properties in this city. 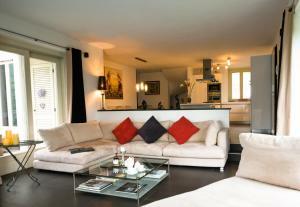 When would you like to stay at Villa Lilla? This modern villa features an outdoor pool and a terrace with panoramic lake views. 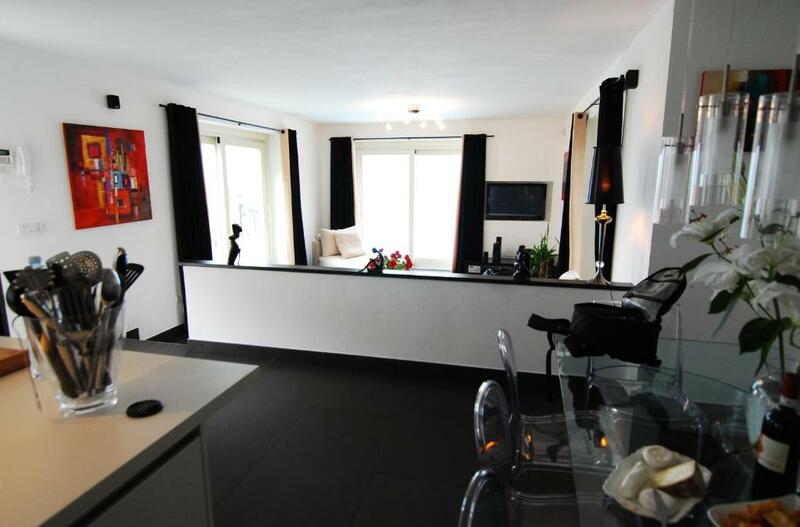 It offers free WiFi throughout and includes 5 bedrooms, 3 bathrooms, and a fully equipped kitchen with a dishwasher. A washing machine and a tumble dryer are also available. We spent 7 years searching for the perfect plot on which to build our dream home - Villa Lilla. We chose this area because of the tranquility, the panoramic views and the all-day sunshine. The villa is located on a peaceful lane away from road noise and yet only 3 mins drive from the lakeside and Argegno village. We furnished it with love - as our home, but also for our guests. So you will find all the home comforts, a fully equipped kitchen (we love to cook), comfy sofas and plenty of space. Large windows everywhere maximise the stunning views. We love it and we know you will too. We moved to Lake Como over 20 years ago from a dull and rainy Lancashire and have never looked back. We love it here - the people, the food, the weather. We love to cycle, walk in the mountains and swim in the lake or the pool. 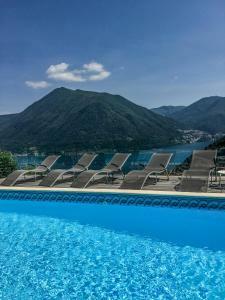 Check out our reviews and you will see that we are available whenever you need us and provide you with all the information that you could possibly need to get the best out of your holiday on Lake Como. We have lived here for over 20 years and love to share our knowledge with you. The local ferry point in Argegno is a 3 min. drive away. Free parking is available down by the church. Local buses are frequent and cheap. You can hire electric mountain bikes in the village of Argegno. You can also book a taxi from there. Getting around is really easy. Argegno is fast becoming one ion the most popular of the lakeside villages with its lively Piazza and superb transport links by both bus & ferry to all other points of the Lake. It is easy to reach from Malpensa by car or by public transport. Argegno offers a surprising amount of facilities for a quaint lakeside fishing village – 5 good restaurants/pizzerias, 2 excellent wine bars (Enoteca and Bar Colombo), serving free snacks at aperitivo time every day. There are 2 banks with cash points and a small store. And you won’t be able to resist Zoe’s home-made ice creams (made with whatever is available fresh that day, including cucumber!). The scent of the bakery will draw you up the narrow alleyways to find fresh brioche (croissants) & bread baked daily on the premises by Louisa. If that wasn’t enough, the village also now boasts a beautician and 2 hairdressers! House Rules Villa Lilla takes special requests – add in the next step! A EUR500 damage deposit is required 60 days before arrival (about USD560.12). This deposit will be fully refunded 7 days after check-out, as long as there isn't any damage to the property. All children under 2 years are charged EUR 3.50 per night in a crib. Please note that the pool is open from 01 May until 30 September. A damage deposit of EUR 500 is required. The host charges this 60 days before arrival. That's about 560.12USD. This will be collected by bank transfer. You should be reimbursed within 7 days of check-out. Please inform Villa Lilla of your expected arrival time in advance. You can use the Special Requests box when booking, or contact the property directly using the contact details in your confirmation. I have paid a deposit 500 euro for any problems or damage in the villa. Also he asked me to pay through PayPal or transfer the money which inforce me to create an account in playpal. Also the road is very steep and narrow to reach to his villa. I feel worry about my 500 euro deposit because he could ask for any minor think. I spent time to leave the property clean. The drive to the property is challencing in the way it is very steep. After few trips though we got used to it. 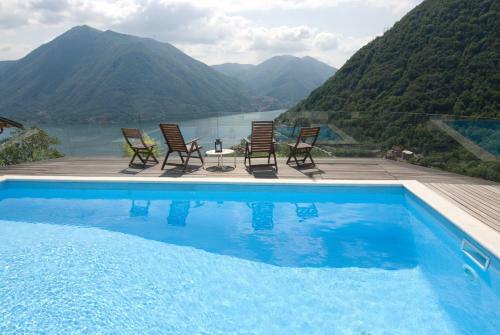 The wiev from Villa Lilla overlooking Argegno and Lake Como is so beautiful that it is hard to explain in words. Property is good for larger group of people as there are many rooms and the pool is awesome.